The Bitcoin phenomenon is back, but this time applied to the digital currency Ethereum, that is up more than 300% in less than a month. After the popular Bitcoin making headlines (and millionaires) it's now time for a new(er) cryptocurrency to jump through the roof. Just a month ago you could buy 1 Ethereum for less than $90 and now it almost crossing the $400 valuation. Since it's always easy to make investments looking back, maybe it would be more meaningful to go back a bit further. 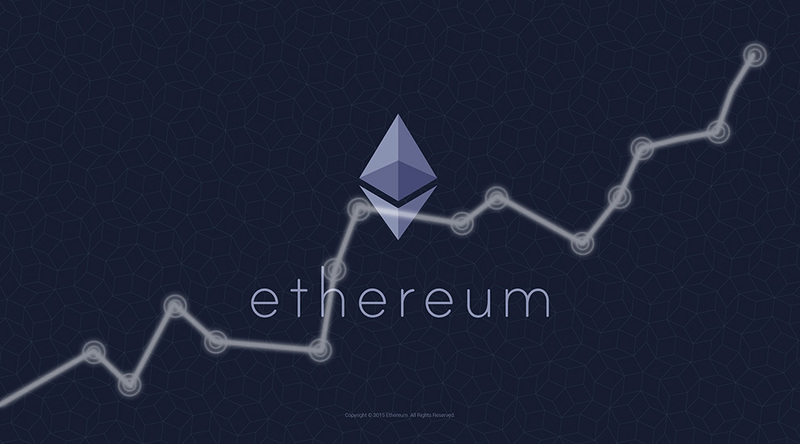 In the beginning of 2016 Ethereum could be bought for just $1 a piece. Should at that time you have bought $1000 of it, today, just 18 months later, you'd have nearly half a million dollars in your wallet (provided your wallet provider didn't steal it from you). Not be a bad investment at all... right? The hard part is trying to figure out if this trend will continue to go upwards, or crash in the coming days. But, there are those who believe that cryptocurrency like Bitcoin has the potential to reach half a million dollars a decade from now. Just to be safe, you won't lose much if you put just a handful of dollars into it. Maybe you'll end up finding out it will pay for your retirement some decades from now. I am already the happy owner of some fractions of Bitcoin, Ethereum and Litecoin... should you want to do the same you can head into Coinbase or similar services and do the same.